Treat yourself! Learn about our spa services, and how they can be customized to your needs! Renew. Refresh, Revitalize. Our Spa & Body Treatments are guaranteed to renew you on the outside and inside! Relax and let the stress drift away! The right massage is just a click away! 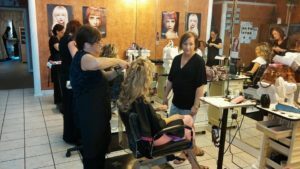 At Exclusively You, our stylists are committed to giving you an exclusive, relaxing experience. Enjoy the aromatic atmosphere and calming music as we address your wellness needs. Treat your mind, body and spirit with our customized treatments. Treat yourself to a relaxing day with us. Whatever your needs, we provide the ideal environment to help you take a break from the hustle and bustle of daily life. You’ll love our spa and body treatments, inspired to improve how you look and feel on the outside and inside. We also offer custom spa packages and bridal services to get you and your girls ready for your big day. Visit us today at the North Village Shopping Center, just one mile north of Barefoot Landing in North Myrtle Beach! Note: If you do not receive an email or phone confirmation within 24 hours, please contact our front desk at (843)361-8080 to confirm your online booking was received and scheduled. Please also note that our staff is not at the salon during Sundays or Mondays, but we will reply promptly on Tuesday morning, Thank you for your patience.